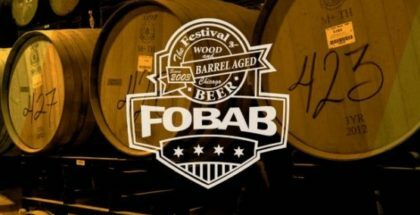 I’ve been to numerous beer festivals, including the massive production that is Sierra Nevada’s Beer Camp, but I’ve never been to a celebration like FoBAB, and now I think I know why. On a cold Saturday, I arrived to the UIC Forum to a line of at least 150 people, anxiously lined up for Saturday’s afternoon session, which didn’t start for another… two hours. Seeing this first-hand raised my eyebrows, but taking the first sip of barrel-aged beer a little past noon almost made my eyes water. This stuff was not for the faint of heart, and that high-octane appeal brought out only the most fanatical beer lovers to the 15th annual Festival of Barrel-Aged Beers. After getting a good buzz from imbibing in a few more sub-5oz sips, I realized FoBAB was a different beer festival than anything I had experienced before. 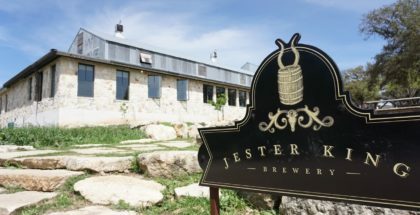 I’ll admit, I’m not the most well-read on the latest and greatest in barrel-aging, so walking through several rows of high-ABV offerings from well-known brewers in Illinois and throughout the nation was a bit overwhelming at first. Then, I realized people had formed a line in front of one stand while the ten stands adjacent stood barren. Why? More Brewing was doling out their highly-anticipated BA Karma, which would later win Best in Show. After taking the hint and waiting my turn, I tried out BA Karma and it blew me away—this stuff tasted like an alcohol-induced cinnamon toast crunch, with great chocolate overtones. 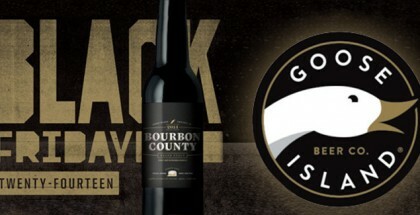 Along with that line, I also waited for Goose Island’s 2017 Bourbon County Brand Stout and Spiteful’s Belligerent Bob—both were excellent as well. Taking home some hardware from #fobab including best in show! We cannot wait to grow our barrel program and continue to pump out awesome beers for all of you. Cheers!!!!!!! Much like an angsty teenager, many craft beer lovers roll their eyes when others tell them what to do, especially when it comes to festival conduct. That said, the advice that came through consistently in most previews I saw was to utilize the water stations, and they could not have been more right. 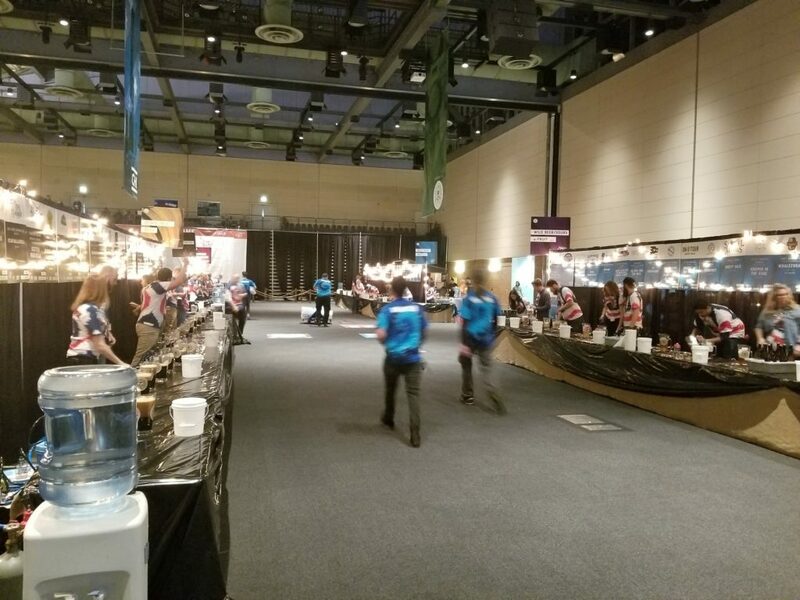 The numerous water stations located at the end of each row acted as a pit stop in-between tastings; it allowed you to wash out your glass while also getting the chance to re-hydrate, which became more and more necessary as the day progressed. Stopping at the water stations saved me from getting sloppy at the festival, and saved my head from a horrible hangover the day after as well. Full transparency: I still got a hangover. Living in Chicago, I often become biased towards the breweries I am familiar with. I’m invested in their story and I’m comfortable with their beer. 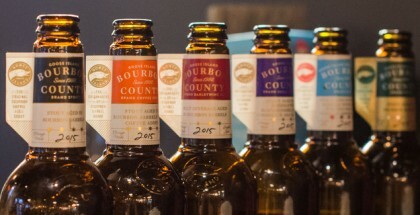 At FoBAB, I initially approached my tastings with a similar strategy, sticking with mostly Chicago-area brews at first. Some of my initial favorites included Vlad with Raspberries from trendy Hailstorm Brewing and Imperial Krampus Cookies from Old Irving Brewing, both reminded me of the holidays—maybe I’m just a sucker for nostalgia. Dovetail Brewing also made an awesome Rauch Doppelbock that was somehow sour yet smoky. After the Chicago-centric tour, I expanded my horizons and ventured out to non-local brewers, which led to some other awesome findings, most notably from Fremont Brewing and their intense Brew 2000 barleywine. Off the beaten track of the main convention hall was the aptly named Sour Room, which housed a unique smattering of sour and funky beers from some of the nation’s best sour beer purveyors. Much like its name, the beers offered here where much different from the main FoBAB hall, including the really weird Everything Bagel from The Sour Note Brewing which actually tasted like garlic and Surly’s barrel-aged Pentagram which made my lips pucker. The Sour Room also housed several sour beer notables, including Lost Abbey Cable Car 2017 and Jester King Spon. This one should be obvious, but sometimes your heart makes checks that your liver can’t cash—such is life at FoBAB. After the initial 30 minutes of trying out a bevy of different barrel-aged offerings, I had to slow down and actively looked for lines as a way to deter the rate of my consumption. That, along with asking for smaller pours, served me well in the long run as I was able to try more beers while not making myself look like a fool in the process. 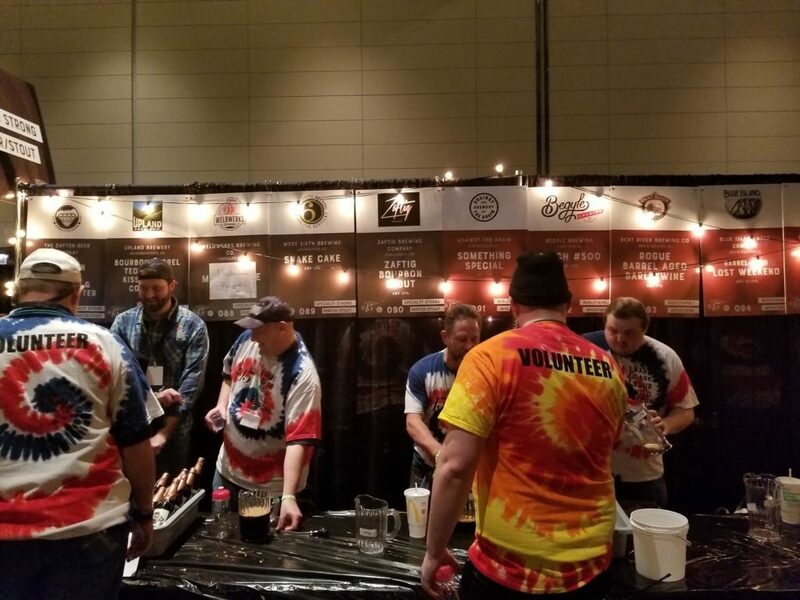 So, those are my impressions from a FoBAB first-timer. It’s a one-of-a-kind beer experience that I’m already looking forward to next year. Have anything else you’d like to add? Let me know in the comments below. Cheers! Feature image courtesy of Taylor Laabs.